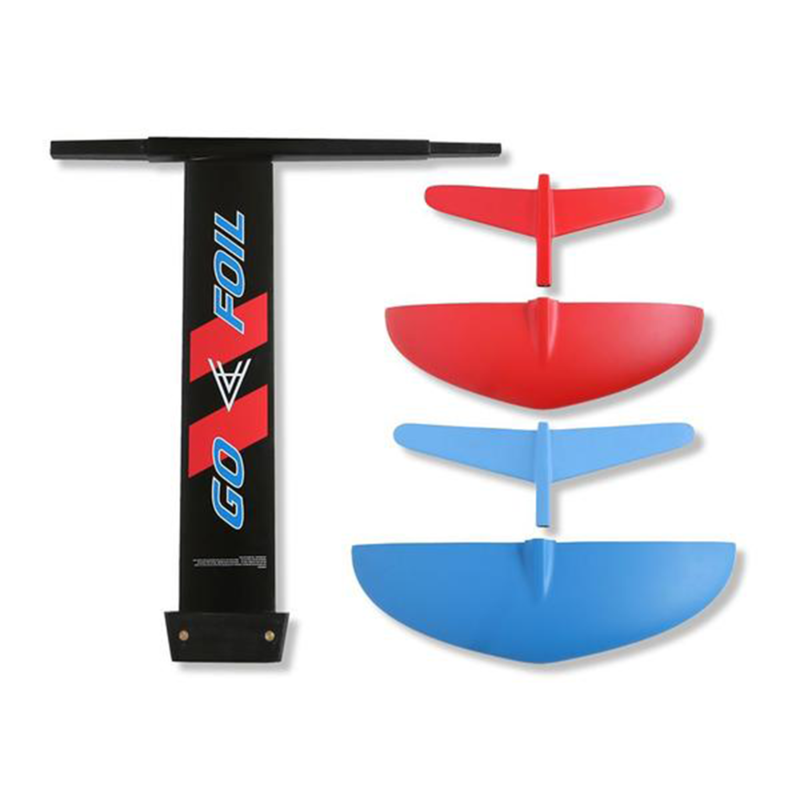 A GoFoil set is great way to be prepared for a variety of conditons and riders. Safe and user friendly, this foil set comes with interchangable wings allowing you to foil in an expansive variety of conditions. Great for beginners as well as advanved riders looking for ease and performance. Light weight carbon fiber construction compatible with Tuttle box plate mount configuations. The new toy has made us all rethink the way we utilize the oceans waves. This thing is equivalent to adding a rocket to your surfboard. Each wing offers distinctly different characteristics. The bigger the wave, the smaller the wing. The large, 170+ Gofoil wings allows riding small swells or behind almost any boat. Depending on what sports you want to do, the mast is also important. 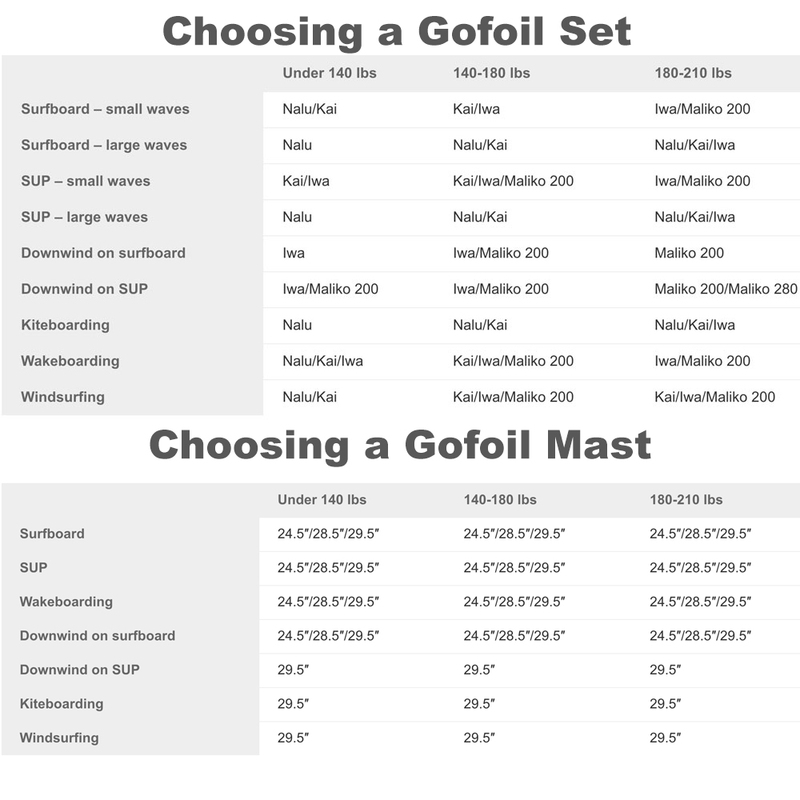 Gofoil now offers several different mast stiffnesses, lengths and mounting configurations. This make it easy to adapt to most any board. I would recommend the 29.5" stiffer mast for windsurfing or kiteboarding racing. Otherwise cruizy kiteboarders, surfers and new paddleboard foilers I believe the best is to learn with the 24" regular mast.